Every August, fans from around the world gather at Graceland in Memphis, Tennessee, to celebrate and honor the life of Elvis Presley. During Elvis Week, August 9th – 18th, concerts, individual performances, and guest appearances will take place at Elvis Presley's Memphis, Graceland's new entertainment complex. If you're a fan of the "King," you'll want to start planning your trip today! 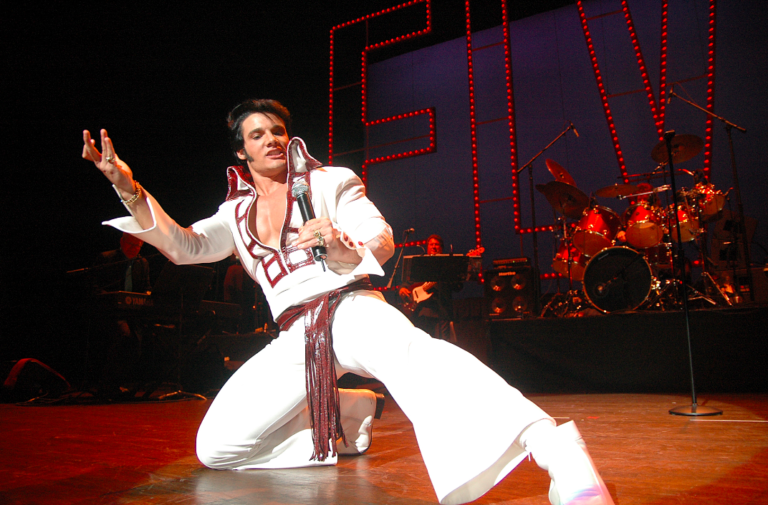 Elvis week includes traditional events such as the Ultimate Elvis Tribute Artist Contest, the Elvis Fan Club Presidents Event, Graceland Insiders Event, and special concerts, panel discussions, dances, and much more. Fans can book an excursion to the birthplace of Elvis in Tupelo, Mississippi to see where it all began, and join the Graceland Excursions Mississippi Delta Tour, which traces the influences that inspired the creation of rock n' roll music. 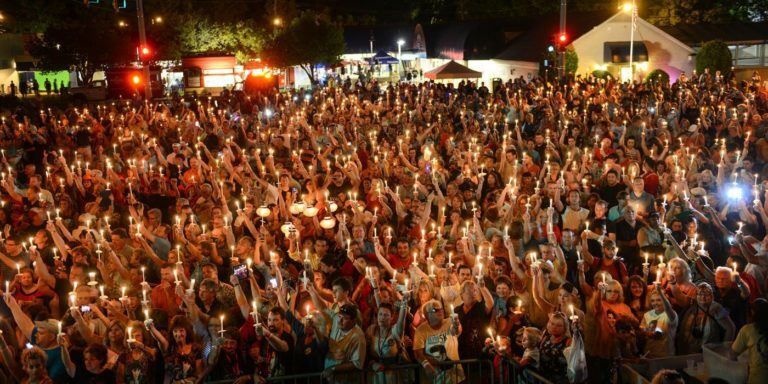 A favorite event among visitors is the Elvis Candlelight Vigil, which begins on the evening of August 15th and lasts well into the morning of August 16th. During the vigil, fans walk up the driveway to the Meditation Garden holding a candle in quiet remembrance of Elvis. Tens of thousands are expected to gather this evening to listen to music and enjoy the memorials that are created by fans along the street. 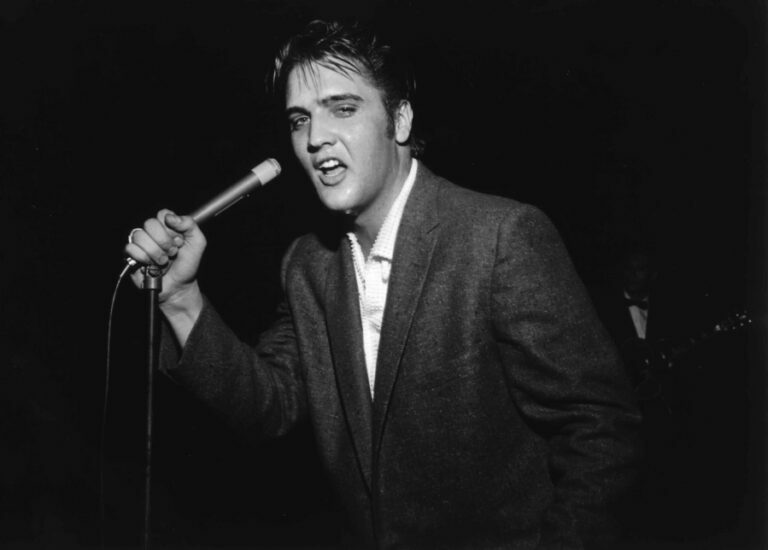 Among the special guests scheduled to appear during Elvis Week will be Lisa Marie Presley at the Graceland Soundstage; Rock and Roll Hall of Fame legend Darlene Love live in concert; Gospel and Soul legend Dr. Emily "Cissy" Houston; Elvis' acclaimed drummer, Ronnie Tutt; and many more. Other highlights include a special tribute to the 50th Anniversary of the legendary '68 Comeback Special, a live concert performance with Elvis on the big screen, a concert and conversation honoring Elvis' gospel recordings, and a unique Lisa Marie Presley autograph opportunity for exclusive ticket-holders. Whether you can come for the whole week or just a few days, you are sure to enjoy Elvis' music, stories from people who knew Elvis, and all the events scheduled throughout the week. Reach out to your local AAA Travel agent to plan your stay. Our travel experts can help you book lodging and transportation for the week. You can also check out these AAA-approved hotels to compare accommodations in the area. Call 1-800-444-8691 and book your trip to Memphis for Elvis Week.